Do any other liquids like milk, juice and tea count as water for my daily intake? I have read, from your articles and many others, that one should drink half of their body weight on ounces of water each day and so I have some questions about this. What is considered water? I realize coffee is not only not considered water, but is a diuretic and cause to drink even more water, but what about the “water” that I drink with my pre and post workouts, and other liquids such as green tea, pure juice (from my juice machine). Also, what about milk or hemp milk that I make from water and hemp seed in a blender, do any of these liquids count as water? Also, on heavy workout days that end in at least 15 minutes in the sauna, how much additional water is needed? – Charles K.
We just posted an article about this very subject that I think will really help you: 10 Surprising Facts About Water and Staying Hydrated. It answers your questions on what counts as water. As to heavy workout days or sauna time, sweating is the primary mechanism by which the body dissipates heat. Workout sweat production varies greatly with environment, specific exercise intensity/duration and clothing worn. During dry sauna, sweating is usually 0.6-1 liter/hour. This equates to 2.5 to 4.25 cups of fluid loss per hour, containing sodium and chloride (salt). That’s about 0.6 to 1 cup in 15 minutes. Water can be used for rehydration, but these electrolytes should also be replaced. Your best method to combat dehydration on heavy workout days is twofold – 1) drink ahead of need and 2) replace losses immediately: 1) Consume 1-2 cups fluid about 15 minutes prior to your workout, 1-2 cups during an hour exercise bout, then ½-1 cup prior to sauna; 2) Weigh yourself in underwear just prior to and immediately after your workout. Drink an additional 2 cups fluid per pound lost. The question of what counts was not answered?? It was addressed in a previous article, link provided. Basically hydration needs are somewhere in the range of 6-12 glasses of FLUID per day. 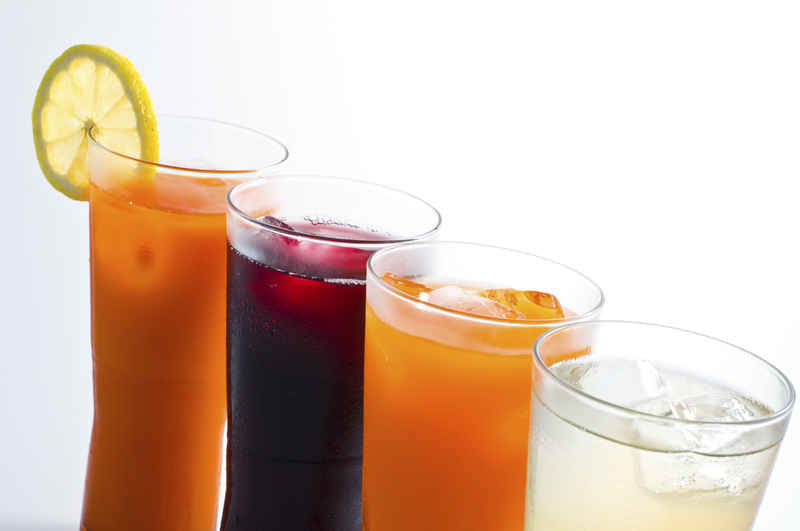 You can count most any liquid, as most beverages are over 95% water.